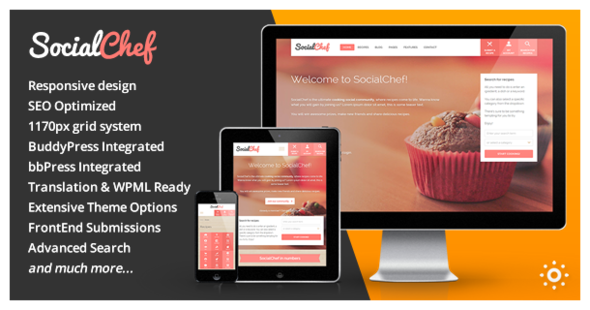 SocialChef is a beautiful, clean and responsive WordPress theme that comes with advanced search and front-end submissions as well as community features such as member profiles and activity feeds. Want to feature chefs and recipes? You got it! This theme will definitely help you build a robust and lively food social community quickly.